Below is a guest post from “Derp,” a Naval officer who writes at “The Derp Report.” Derp's blog is a collection of some of the best posts I have seen with regards to credit card bonuses and maximizing your benefits as a military servicemember. Check out his site for funny and interesting observations on the world of credit card rewards. In the post below Derp explains how he obtained 11 AMEX Personal Platinums and how a savvy servicemember could go about obtaining even more. See his strategy below. I just opened my second AMEX Platinum account (Charles Schwab) and will be working on more in the future! Since I am stationed OCONUS I try to send a free dinner to a friend or family member back home once a month. Can't let those credits go to waste! One of the greatest perks of being active duty is the generous interpretation of the SCRA from the good folks at American Express. They are not obligated to waive the $550 annual fee on their AmEx Personal Platinum charge card, but they have been doing for many years. I can only assume they do this because they make money on the backend, on retailers that take AmEx. With more card members spread across thew world, this waiver is the cheapest PR they are going to get when every service-members has one of these in their pockets for no annual fee. I also like to think that the majority of AmEx Platinum holders do not take advantage of any of their benefits and pay the $550. Where just the savvy few actually maximize these things on an annual basis. We are also some of the most financially responsible members of the workforce seeing how we would lose our security clearance if our credit score started to dip. This post is to outline the many approaches to getting multiple Personal Platinum and Biz Cards to maximize these benefits. 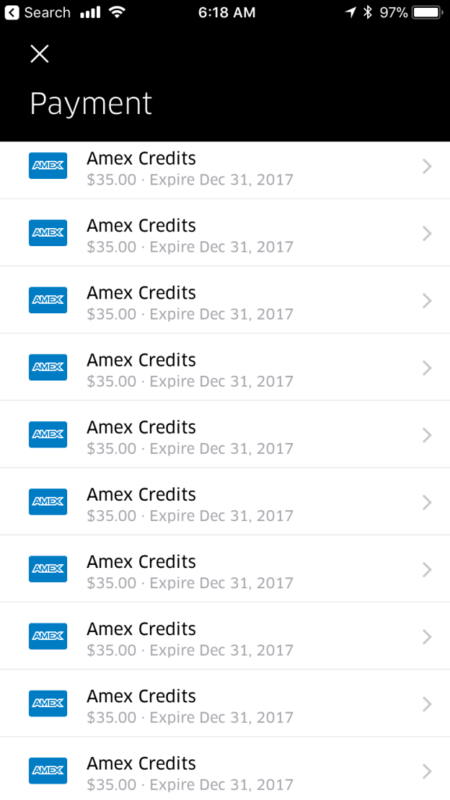 $200 in Uber Credits (good for rides and uber eats) paid in the form of $15 each month (with a $20 extra bonus in December) into the Uber account the AmEx card is added to. 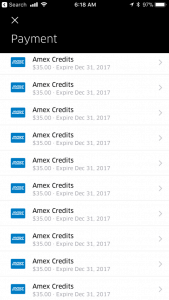 I added all of my 11 personal cards to my wife's Uber account so she sees a credit of $165 on the first of each month ($385 in December). This credit must be used by midnight Hawaii time at the end of the month or will be lost. $100 at Saks 5th Avenue payable in a $50 credit from January to June and another $50 from July to December. This credit expires at the end of each period and does not require any minimum spend. $100 for global entry which presumably should only be used every 5 years for yourself, but some reports of any charge of $100 for any application will be covered without any limitation (try at your own risk). I would just use one $100 credit per card per 5 years. 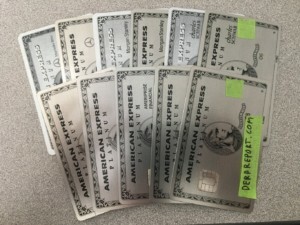 Each AmEx Business Platinum card has only the $200 in airline fee reimbursements among other things such as the 35% points back which we have discussed on other posts. AmEx has a lifetime (de facto 7 year rule) limitation on bonuses to be paid for a new product. If you ever got the bonus for getting a card at any time in your life they will NEVER pay that bonus again. You can't apply for a product you already have. If you have a Green AmEx, they won't give you another green AmEx or if you have one personal Plat, you can't apply for another. Co-Branded cards are considered separate products. the Morgan Stanley Platinum Card is not the same as the Charles Schwab Platinum Card. You can get the sign up benefit for both. Your annual fee will get waived for AD and reservists, but if you are in a state that doesn't have common property rules your non active duty spouse may not get a waiver. There appears to be no limit to how many CHARGE cards you can have, there is a 5 CREDIT card limit. Buying only gift cards and paying with multiple accounts is suspicious for bust out fraud, so don't try it! Always get the highest product first, then the lower compatible product to product change in the future. Have a plan lined up and stick with it! Apply for AmEx Green, then Product Change in one year to AMEX Platinum. Take your time, it took me 5 years to have 11 Personal and 3 Business between my wife and myself. How many Platinum cards do you have? Click here to read about all the free benefits you can get with an AMEX Platinum card if you're in the military. It would sure be nice to have $150+ of free Uber rides every month! How do you set up separate log in for multiple platinum cards? You can keep all your AMEX Platinum cards on one login, you don’t need separate ones. If you are talking about keeping AMEX Gold or AMEX Green on a separate login, just create a different login when you get the card and open an online account. If you have already added the card to your main account, you can drop the card from the account by going to Account Services – Card Management on the left menu – “Remove card from Online Management.” Then you can add the card back to a new AMEX account. Just to update this post my current progress and the issues that I’ve stumbled across so others don’t have to deal with it. -This is less of an issue and more of a warning if you plan on keeping this card and don’t want to keep your CS account. Many individuals would create an account (you have 90 days to fund it) become eligible for the Amex plat and never actually fund their account. From the many hours of reading it appears that Amex has been aggressive in closing these cobranded cards when you no longer have a qualifying account with that partner. So be weary of this. – So there’s been reporting of this and it actually happened to me. If you have the regular Amex plat personal card (vanilla), you are now not eligible for the Ameriprise card. The system would just not let the request go through and would cancel it. I tried to get this overridden by Amex but they had no clue and said I’d likely have to apply through Ameriprise (although I don’t know if that would help). Just thought I’d share my experience with you! Awesome info, thanks for sharing! This was the best guide on the internet. I’m now up to 7 Plats and will be at 11 by the end of the year. Why apply business platinum before co- brands’? The threshold of spending 10k is much higher than others. 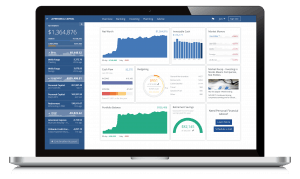 I just opened a regular account with Charles Schwab. How soon can I apply for an Amex Platinum? You should be good to apply after 48 hours. Let us know if it worked. I heard that MLA/SCRA benefits did not apply to business cards. Are you paying the annual fee? Chase does NOT waive business card annual fees. They do waive personal card annual fees under MLA. 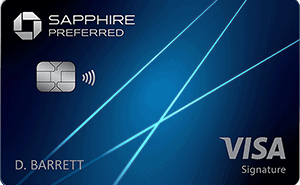 AMEX DOES waive business card annual fees under SCRA. So just to confirm all of these accounts are active at the same time correct? your not cancelling each one before applying for the next? Or are you? All active at the same time. I’ve turned my attention to the Goldman Sachs one as well. A tough nut to crack! I applied for the AmEx Hilton Aspire and the Ascend cards. I upgraded the Ascend to the Aspire after 9 months. I just did this exact same thing as well. Does Schwab waive annual fee for Schwab Amex Platinum for military? Yes, I can confirm this. The American Express Platinum Card from Charles Schwab waives the annual fee for military. Plus it usually has a welcome bonus of 60000 MR points. I recently read on Reddit r/MilitaryMS that you do not need to wait 1 year to PC business cards to Platinums. Do you have any other DPs on that strategy? I have no DPs but it sounds like a thing based on the Reddit threads. Give it a shot! Thanks for the info. More weakening of military consumer protections by the current administration. Thanks to the SCRA though I think military churners will still do alright and we’ll have plenty of warning if things change. Different people probably have different feelings on this. Some will say the company offers the benefit I’ll accept it. Others will say this clearly isn’t the intent of the benefit and is going way to far. We’ll see if this gravy train keeps on running costing amex some significant cash.